Check your EMAIL Inbox to download 7 Critical Components to Lead with Confidence! We are pleased you’ve decided to get your free ebook 7 Critical Components to Lead with Confidence. STEP 1: Please check your email inbox for a confirmation message from us, it should arrive in the next few minutes. If you don’t receive it soon, please check your junk mail or spam folder. Sometimes the message gets caught there. In the confirmation message, please click the link that says, “Download” Once you do, you will immediately receive your free eBook. 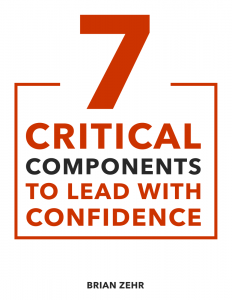 STEP 2: Read 7 Critical Components to Lead with Confidence, jot down your reactions and please share your comments and thoughts with us! We’re always interested in what you have to say. Along the way, we will send updates on articles added to our website, so you can remain connected to Intentional Impact, plus occasional information about new products or services. Remember: you can change your delivery frequency or unsubscribe at any time, there are convenient links at the bottom of every newsletter to help you do so. Privacy Guarantee: We will never share your email address with anyone. Now that you have the leadership guide, why not take the next step? Just click the button below and set up a free strategy session today.